The Eastern Kentucky Winter Bee School will be held at the Hazard Community and Technical College (One Community College Drive, Hazard, KY 41701) on January 20, 2018 from 8:00 to 3:30 ET. Door prizes will be given away and vendors will be present. Dr. John Skinner will be the special speaker. 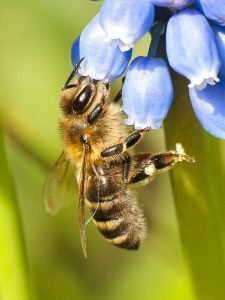 The title of his presentation is “Swarms and The Grand Interactions: Bees, Plants, Growers, Beekeepers.” Classes will be offered throughout the day with a special track for beginner beekeepers. More information about classes can be found on the flier. Pre-registration is $20/adult. Pre-registration forms should be mailed to the Perry County Cooperative Extension Office, 933 Perry Park Road, Hazard, KY 41701 by Jan. 12, 2018. Registration at the door is $25. Lunch is included with registration and family rates are available. Contact Charles May at (606) 436-2044 or cmay@uky.edu with questions about registration or event cancellation.